Total weight gain/loss: No weight gain so far! The Bump: The bump is slowly making its appearance to me, no one else notices it yet unless they know me personally! Symptoms: Negative symptoms are diminishing, praise the Lord! Still have a few nauseous moments but never actually gotten sick! Food Cravings: I pretty much want a McDonald’s sausage mcgriddle everyday for breakfast…such a bad habit! Anything Making Me Queasy or Sick: Not really anything this week! Sleep: Sleeping great! I want a nap like all day, errr day, THIS is still true! What I miss: Now that I’m starting to feel like myself again Im not really missing anything, just feeling super happy to be carrying another sweet little life! Gender: We don’t know gender and we won’t be finding out again this time! Im so excited to be Team Green again!!! Movement: No movement yet, but I can’t wait! Maternity Clothes: None yet, won’t be long! 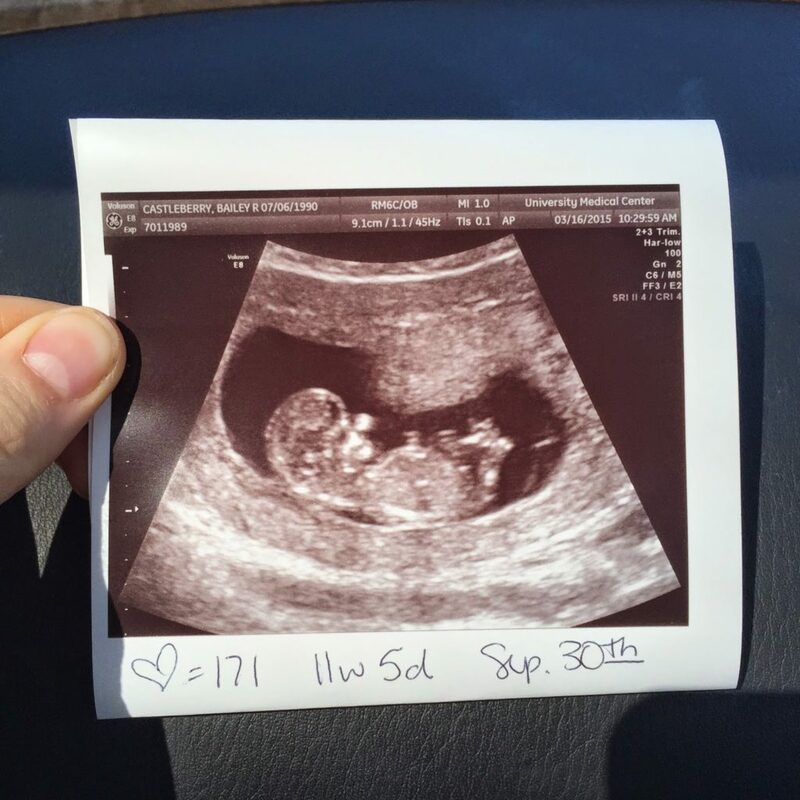 Best Moment of the Weeks: Getting over the blah days, we also got to see little babe at what we thought was 11w1d but I was actually 11w5d and we did the NT scan, everything looked perfect and our little babe was wiggling around and just super cute!!! 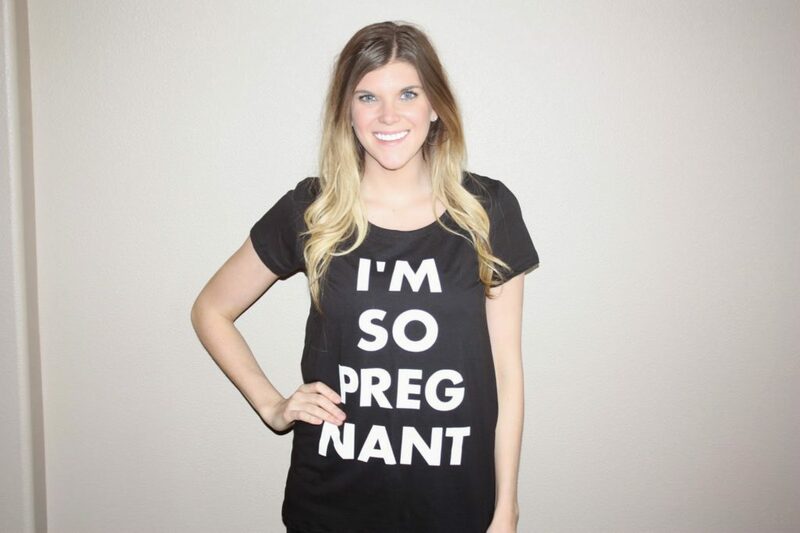 We officially have a due date of September 30th….Im gonna be one hot mama this summer, and I don’t mean “hot” I mean, miserable, swollen, sweaty and HUGE! Feeling: super super blessed and totally in love with my babies! 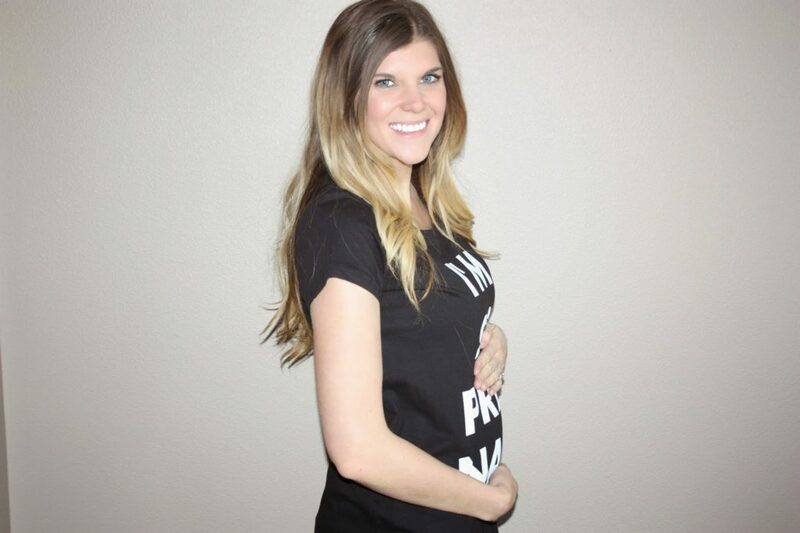 What I’m excited about/looking forward to: Im ready for my bump to fill out this ahhhdorable shirt from HELLO APPAREL , I’ll be welcoming it with open arms at any time! Our plan is this will be the final Castleberry babe, so I want to embrace every little aspect! cue the water works…..